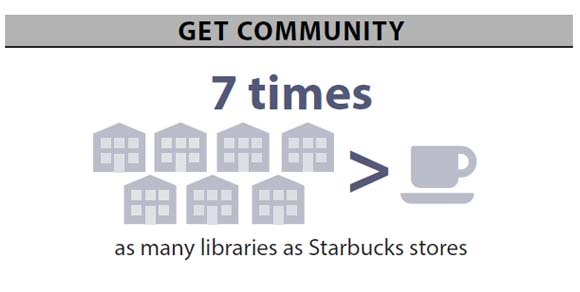 Circulation, program attendance, website visits…these are just a few of the statistics you are already gathering at your library. But how do you take these data and turn them into effective advocacy? In this interactive session, learn how to develop an elevator speech about your library, use statistics and stories to add value, and tailor the message to various stakeholders. You will have the opportunity to draft an elevator speech and share it with others if desired. You are encouraged to bring any statistics you collect about your library for use in drafting your speech. We recently told you about the State Grants to Libraries Act (CRS 24-90-401) that offered $2 million to Colorado’s libraries and how many libraries were able to purchase materials thanks to the funds. We’ve now received preliminary data for the 2013-14 grant cycle highlighting just how those grants were used, and the impact is clear: State funding played a major role in building collections for libraries across the state. More than 9 in 10 library recipients used the funds to purchase print books, totaling nearly 140,000 books added to library collections. Nearly 40% of recipients bought about 10,000 e-books. And more than half of library grant recipients purchased access to electronic databases for their patrons. It was a new book extravaganza! We were able to weed many aged and ragamuffin books. We refreshed our collection and it reignited our love for reading! We are a 1:1 technology district, and this allowed us to expand our digital resources. It is helping us transform the way students think and learn. We saw circulation rise by 13-29% at two branches because we can offer more targeted resources customers want and need. Want to see more highlights and quotes from the 2013-14 grant cycle? Check out our new Fast Facts. Final numbers for the 2013-14 grants will be available later this fall. And the cycle for 2014-15 is well underway with the $2 million appropriation renewed by the 2014 Colorado Legislature and funds scheduled for disbursement this fall. We’re looking forward to seeing how libraries use this year’s awards! 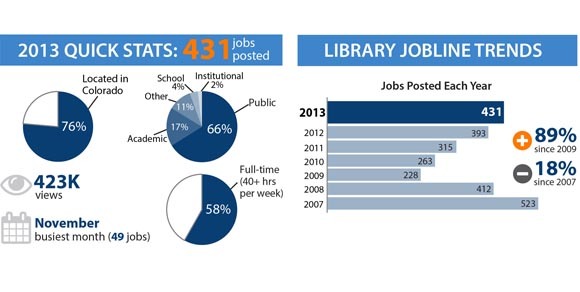 In 2013, 431 jobs were posted on Library Jobline. That’s up almost 90% from 2009, the bottom of the job posting curve thanks to the latest recession. But we’ve not yet recovered completely: 523 jobs were posted in 2007, the first year of the service. Average starting wages for postings not requiring an MLIS/MLS degree have increased more than 20% since 2007, more than starting wages for postings preferring (up 16%) or requiring (up just 4%) the degree. In fact, the average starting wage for positions requiring an MLIS in 2013 was $22.25 while postings preferring the degree had an average starting wage of $22.08—a difference of just 17 cents an hour. Another interesting trend is how MLIS degree requirements have shifted since 2007. While other skills requirements, such as library experience or language skills, haven’t shifted much since the service began—within 5 percentage points—the degree requirements have changed quite a bit. In 2007, 35% of job posts that indicated a preference said the MLIS degree was required. In 2013, that figure fell to 18%. This hasn’t been mirrored by the percentage of posts that prefer the degree: In 2007, 12% preferred a library degree; in 2013, 15% did. Learn more about Library Jobline and last year’s job postings through our new Fast Facts, available here. In the job market yourself? Sign up as a job seeker for to receive personalized job announcements. Responsible for hiring at your library? Join the nearly 750 employers and post jobs that are consistently viewed more than 1,000 times. And get even more job announcements, tips, and strategies by following @libraryjobline. These days, it is not uncommon for children to be adept at using the Internet, cellular phones, and/or digital cameras. They might be hard-pressed, however, to find literature in their school libraries that adequately discusses the modern-day use and significance of these technological advancements. Based on results from the 2013-14 Colorado School Library Survey, the average copyright for books that fall in the 600 range (technology) of the Dewey Decimal System in Colorado public school libraries is 1998—when the Internet was a relatively new concept in most households, cellular phones were a luxury item enjoyed by only a select few, and drug stores were still developing camera film for their customers on a regular basis. Are you a school librarian who needs funding to update your collection? The Colorado State Library website contains information about a variety of grant opportunities, for example, State Grants to Libraries and the Funding Opportunities webpage. In 2013, the Colorado State Legislature granted $2 million for libraries to support or enhance early literacy and early learning educational materials. For 2014-15, this funding was renewed and the application period is open now! In the meantime, we’re taking a look back to highlight how 2013-14 went. Through a non-competitive grant process, each eligible library received $3,000 plus remaining funds designated on a per capita basis. You can find a breakdown of the 2013-14 awards here. For 41 libraries, the grant more than doubled their collection budgets. Nine in 10 Colorado libraries received funding: 88% of all academic libraries, 94% of all public libraries, and 91% of all school and youth correctional libraries. Don’t miss the infographic that breaks down awards by county and highlights stories from grant recipients. New to state grants? Learn more through an introductory webinar on August 26 at 9:00am. And visit the State Grants to Libraries website for details on eligibility, purchasing recommendations, and reporting details. Receive a grant in 2013-14? Share your stories with us on Twitter! Library Journal recently released results from its first Salary Survey for U.S. librarians and paralibrarians, across all library types. This new survey is a bit different than those we’ve talked about before in Weekly Number posts here and here and Fast Facts reports like this one: It isn’t tied to a particular library type or position category. Library Journal received responses from more than 3,200 librarians of all types—public to special to consortia—from all 50 states. School librarians had the highest median salary of $58,000, and public librarians had the lowest at $47,446. Having the MLIS degree made a big difference in academic and public libraries: Staff with MLIS degrees earned almost 50% more than those without the degree. But for school librarians, the MLIS degree offered a median pay jump of just about $3,500 compared to non-degreed librarians. Two-thirds received a pay increase last year, with a median raise of 1.5%. The survey also asked about job satisfaction, and the picture isn’t great: Less than a third (31%) said they were “very satisfied” with their jobs, and just 27% said they felt they had opportunities to advance in their role. Less than a quarter (23%) of those with part-time work reported being “very satisfied” with their jobs. Part-time status is still a reality for many librarians, according to the survey: 16% of public librarians, and 6% of academic and school librarians said they worked part-time. Perhaps most telling is the fact that half of those part-timers had an MLIS degree. You can peruse the tables from the report here and additional data here. And keep your eye out for our annual review of Library Jobline’s data to give you an idea of how the library job market and pay is shaping up based on last year’s job posts. Summary Profile: This profile presents information about the weekly use, collection, technology, and library hours of individual school libraries. Expanded Profile: This profile contains this same information as the summary profile, and additionally presents data about the instructional and leadership activities of individual school librarians. The profiles were designed to be a companion piece to our school library impact infographic.This piece summarizes two decades of school library research that demonstrates the impact of school libraries on student achievement. 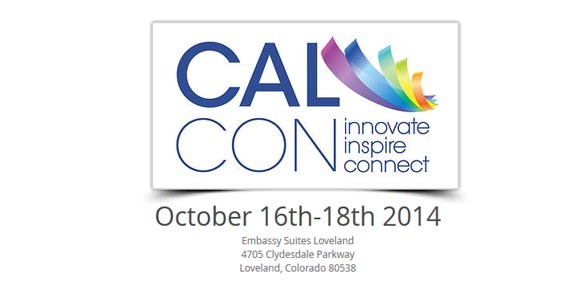 Want more information about Colorado school libraries? You can access the complete 2013-14 school library survey results here. And, a summary of the results for all Colorado public schools is here. Colorado’s school librarians are busy teaching students how to use digital resources, apply critical-thinking skills, and evaluate the credibility of information resources. They’re co-teaching with instructors across the school, serving as technology leaders and subject matter experts in helping students achieve 21st-century skills. To help demonstrate these activities, school library staff participate in the annual Colorado School Library Survey. In our newest Fast Facts report, we’ve highlighted statewide estimates extrapolated from 2013-14 survey results as well as specific survey responses to demonstrate what’s happening in the bustling world of school librarianship in the state. Statewide, it’s clear school libraries are humming with activity. In a typical week, more than 2.2 million items are circulated and individuals visit more than 791,000 times—yes, that’s in just one typical school week. 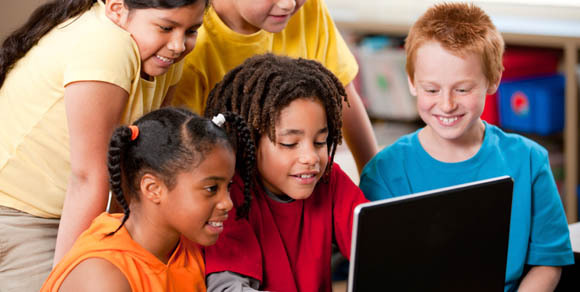 Of the more than 412,000 school computers with access to library resources, more than 90,000 are actually in the library itself. School librarians are also deeply involved in the life of the school overall: For those survey respondents who are endorsed librarians, nearly all (96%) participate in school committees, 90% meet regularly with the principal, and 87% provide in-service training for teachers. 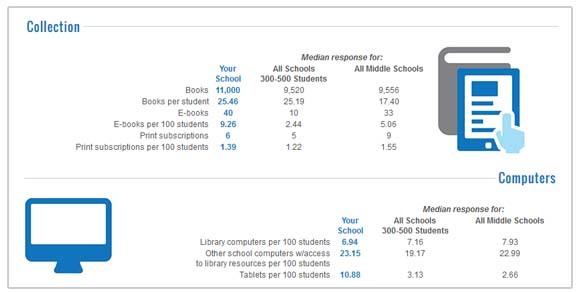 School libraries are also making their presence known virtually, with nearly all (95%) respondents offering an online automated catalog, close to 9 in 10 (88%) offering wireless internet, and 4 in 5 have a library website or catalog that’s linked from the school homepage. Learn more about the impact of school libraries in our powerful school library impact study page, and don’t forget to keep a copy of our infographic handy. You can also access your own library’s information through our interactive tool and customized profiles. Interested in seeing how this year’s results compare with last year’s? Check out our Fast Facts summarizing the 2012-13 results. 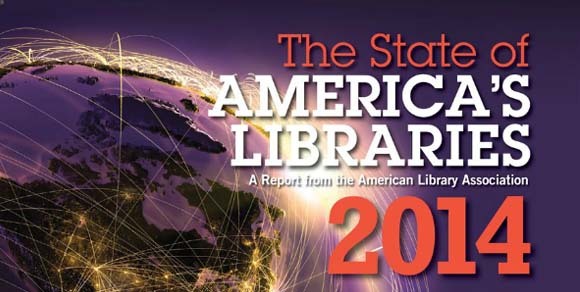 LRS’s biennial study on public library web sites and social media use (“Web Tech”) is featured in ALA’s recently released 2014 State of America’s Libraries report. This report presents a comprehensive summary of current library news and trends, including coverage of hot topics such as libraries and community engagement, ebooks and copyright issues, and social networking, where the Web Tech study is highlighted. Infographic: summarizes the study’s findings in a graphical format. Colorado infographic: graphical summary of the study’s Colorado-specific findings. Fast Facts: presents study highlights. Closer Look report: contains detailed information about the study’s results. U.S. Public Libraries and the Use of Web Technologies webpage: contains all published information from the 2008, 2010, and 2012 studies.